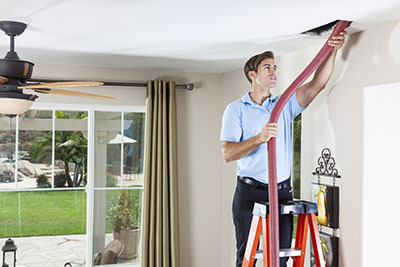 We are in the air duct cleaning and repair business and promise outstanding and careful work. The condition of ducts determines the quality of your indoor air and the money you spend on energy bills. Don't take chances with your health! Rely on our team for excellent air duct and HVAC unit cleaning. Our staff is professional and knowledgeable and we proudly own great machinery in order to make sure that duct dirt is properly removed and pulled out of your house without contaminating it. Additionally, we offer HVAC unit and dryer vent cleaning so that all hidden ducts will be cleaned properly. Our company also repairs small or big duct cracks and excels in air duct seal repair. We offer air duct replacement and certainly maintenance so that you will stop losing energy and enjoy a clean indoor environment every day. Many businesses which rely on regular custom for their success, particularly perhaps those who are serving food need an atmosphere that is conducive to good food and healthy living. There is no avoiding dust that gathers in every building on a daily basis. 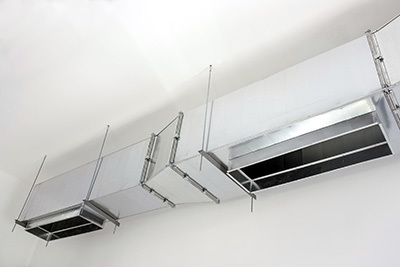 It is cleaned for work surfaces, sills and furniture before a business opens for the day but that same dust also slowly accumulates in air ducts. It can gather at the rate of three pounds a month and that dust certainly has an impact on good air quality. All the air circulating around a room has come through the dust, bringing with it germs that can be most unhealthy particularly to people who already have a condition such as asthma. While aerosols can mask the stale odor the air is of poor quality and needs to be improved. There is incidentally the added bonus of a saving in energy if the ventilation system is clean. You need only to contact us and we will come to look at your Indoor air quality which we will make as good as the fresh air of the open countryside. Having tested the air quality we will check that the joints and seals on the air ducts are airtight and that there is no damage to the air ducts themselves. We vacuum out the loose dust and any debris that has attached itself to the air duct alls; the last piece of the process is cleaning the vent grills of any grime with metal brushes used if there is any stubborn dirt. The change will be instantaneous though the impact on the energy bill will take a while in coming. The process is similar whether the venue is a small apartment or large business premises; it is merely one of different scale. We will make some suggestions about how regularly you need to check indoor air quality and how often we may need to call to clean the air ducts but there really is no set time. If you have seen the amount of rubbish that has come out of air ducts that have had no attention for a while you may be very keen to ensure that does not happen again. We would certainly advise that if you are considering redecoration or renovation and extension work that you include within the project air duct cleaning. These activities generate far more dust than normal and the air ducts should be cleaned just as all the rooms will be. Indoor air quality is important for a healthy life and we like to think the efficient service we have provided has been the reason why we have built up a strong reputation. It is a reputation we intend to improve even further and we would invite you to call to see what we can do.